This newly built home nestled in the upscale, gated community of Balmoral Development on western New Providence, offers over 2,600 sq. ft. of spacious living to the new homeowners. This 3 bed, 2.5 bath 'Bahamian Bungalow' has a covered porch and driveway and comes exquisitely furnished with all new stainless steel appliances, gas stove, designer furnishings and a back-up generator. There are travertine tiles throughout the ground floor and hardwood floors on the upper level. The basement floor of this cozy home is completely finished providing for a bonus room or storage. The Balmoral community also offers a club house, swimming pool and gourmet convenience store. Call today to view! 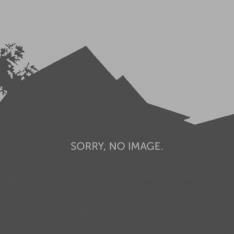 I was searching for a Property and found the listing (Balmoral Bungalow Home #60). Please send me more information regarding Balmoral, Nassau/New Providence, Balmoral. Thank you!